Seán Ó Riada was born almost 80 years ago on August 1st 1931. He is one of the great pioneers of traditional Irish music. In 1959 he scored the music for the film Mise Éire and succeeded in producing one of the most iconic pieces of Irish music of modern times. In 1961 he formed Ceoltóirí Chualann and for the remainder of the decade, and with the support of some mighty musicians, he singlehandedly took Irish traditional music into a new era. 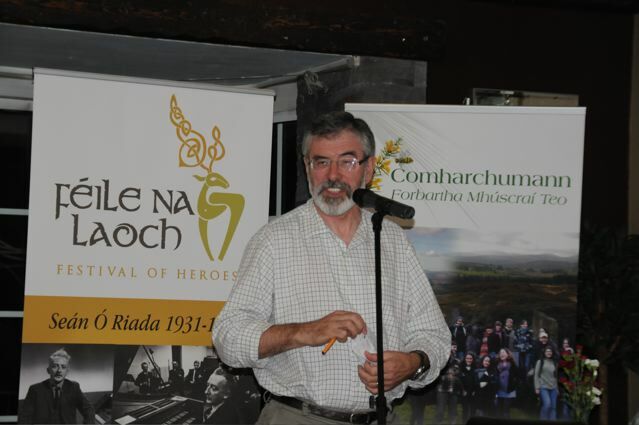 Ó Riada is equally famed for his choral music and, as part of the féile, Cór Chúil Aodha, the choir he formed in the village, will perform one of his masses. 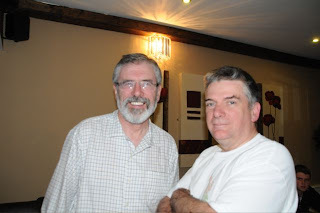 He did great work for Ireland, for our language and for our people. Sean died at the age of 40, too soon and too young. 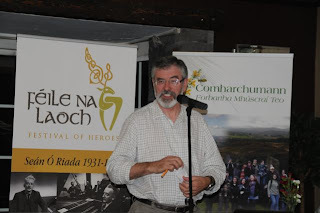 I have listened to his music all my adult life so I was greatly honoured to be asked to launch Féile na Laoch when I was down west Cork recently. The festival will be held over the August bank holiday, beginning on July 31st. The official launch was great event and I was delighted to meet up with Sean’s son Peadar and others from Cuil Aodha. They are doing great work. Peadar and the organisers putting together a magnificent weekend encompassing pop and traditional Irish music, opera, poetry, drama and dance. Great names such as Christy Moore and Glen Hansard will be joined by opera soprano Cara O’Sullivan, sean nós singer Josie Sheáin Jeaic Mac Donncha and jazz guitarist Louis Stewart. I am hugely impressed with the focal point of the festival with music taking place throughout the night and the stage, on the banks of the Sullane River, rotating from sunset to sunrise as performances continue and culminating with a massed orchestra performing Ó Riada’s Mise Éire. It is a fitting way to remember a man who did so much to promote Irish arts, music, culture and the Irish way of life, a man who is widely believed to be the most influential figure in the revival of traditional Irish music from the 1960’s onwards. I wish you all a great Féile. I am sure it will be hugely successful and very enjoyable and uplifting and I will be encouraging people from throughout Ireland and abroad to travel here to Ballyvourney for the August Bank Holiday weekend for what promises to be a magical Irish festival. Irish arts, music, culture and the Irish way of life and the life of Seán Ó Riada. Irish traditional music is a great love of my life and to hear it performed well, is something special.